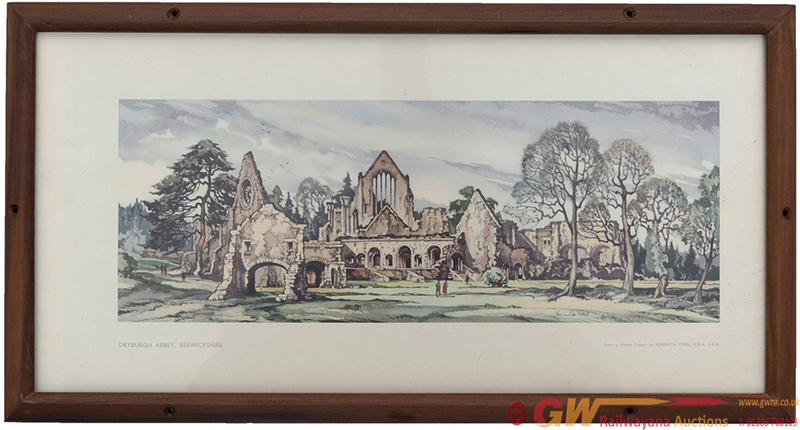 Carriage print DRYBURGH ABBEY BERWICKSHIRE by Kenneth Steel R.B.A S.G.A. A view of the ruined Abbey and grounds, from the LNER Post War Series around 1950. In original type frame with the print measuring 20in x 10in.